Iran’s regime has turned against a vital link with Europe, jeopardizing the Rouhani Government’s tactics to prop up the troubled Iranian economy amid comprehensive US sanctions. Last week the European Commission approved the SPV, formally known as the Instrument in Support of Trade Exchanges, after four months of discussion. But the initial arrangements are limited to supply of pharmaceuticals, medical supplies, and food that have been blocked by the US sanctions imposed on November 5. The European Union coupled the SPV with criticism of any further development of Iran’s missile program and of Tehran’s activities in the Middle East. And they tied implementation — expected to take months — to the Islamic Republic’s accession to an international convention against terrorist finance and money laundering, joining the Financial Action Task Force. Iranian hardliners have opposed the FATF arrangements because they fear effects on Iran’s links with groups such as Lebanon’s Hezbollah and Palestine’s Islamic Jihad. European countries, which had promised to remain committed to Iran’s nuclear deal after the US withdrawal from it, have now restricted their efforts to INSTEX and have reportedly set two strange conditions for it to become effective…. These countries must know that the Islamic Republic of Iran will by no means accept these humiliating conditions and will not give in to any demand in return for a small opening like INSTEX. Principally, they were not and are not supposed to establish a relation between the mechanism and other issues, such as the FATF….If there is a party, which should lay conditions, it is Iran, which should stipulate its terms. The Expediency Council again postponed a review of the internal regime dispute over the FATF, delaying a meeting on Saturday because of celebrations of the 40th anniversary of the Islamic Revolution. 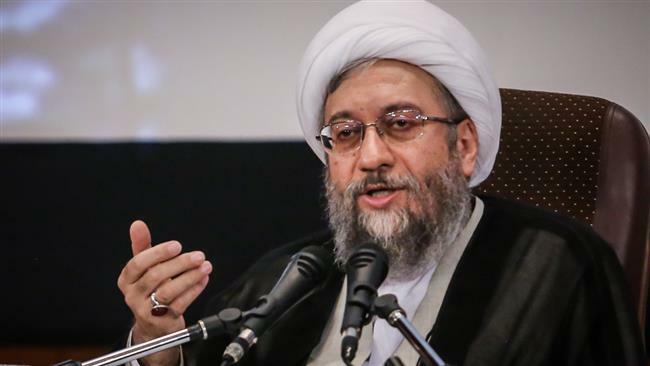 The Guardian Council has twice accepted the Rouhani Government’s revisions of the legislation, only for the measure to stall in the Expediency Council amid hardline resistance. The EU issued a joint statement on Monday welcoming the SPV and restating its commitment to saving the 2015 nuclear deal between Iran and the 5+1 Powers (US, UK, France, Germany, China, and Russia), challenged by American withdrawal in May. The statement did not note the growing criticism from the Iranian regime, as it hailed “a positive impact on trade and economic relations with Iran, but most importantly on the lives of Iranian people”. At the same time, the European Council restated that it is “gravely concerned” by Iran’s efforts to “increase the range and precision of its missiles, together with increasing the number of tests and operational launches”, and urged Iran to immediate end “hostile” activities in EU member states. Earlier this month, the EU approved sanctions on Iran’s intelligence services and two Iranian nationals, following claims of Tehran’s involvement in plots for bombing of a Paris rally and assassination of dissidents in The Netherlands and Denmark. Deputy Foreign Minister Araqchi left for France on Monday for talks with his counterpart in Paris.